Building a robot is a cool project that can be done with a Raspberry Pi. There are many robots kits that come ready to be assembled, and integrate a Raspberry Pi as its controller. These kits come in a variety of shapes sizes and capabilities. Most come with basic software and programs to use along with the option to learn to code and add in your own control programs or functions. Not only is this a great learning tool but one of the funner projects to do with a Raspberry Pi. The UBTECH Jimu is STEM learning built to show how robotics work. It snaps together much like Lego block and comes with servos and sensors that make it move. It is a great unit for teaching or leaning the basics of robotics and programing. 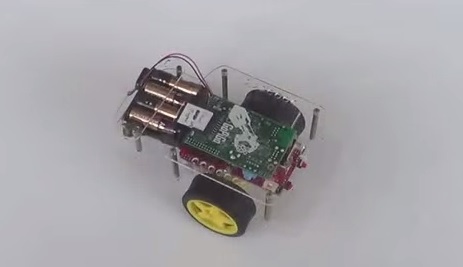 This Raspberry Pi learning kit is a small robotic car with a camera attached. It is nice well designed kit that comes with good instructions. Compatible with RasPi 1, 2, and 3. The BrickPi uses LEGOs to create a robot or robot of your design using a Raspberry Pi to run it. It is programmed using Python and comes with example software and step by step tutorials to learn programming with Python. Other features include remote control, WiFi, over-the-internet control and more. This small humanoid robot is setup to be a educational tool that uses a Raspberry Pi to control it. Setting up a RasPi as a web server or WiFI repeater may be more useful, but not as fun as setting up a robot to do what you want. Small projects with the Raspi are a great way for kids and adults to learn about computer science and how it works. The original goal of the Raspberry Pi was as a teaching tool even if it has morphed into something much more its original intention. Most any kit will come with basic programs to run the robot kit bought, but learning Python or other coding languages is also a fun thing to do. While computer science may not be for everyone, starting with fun small projects is always the first step for those who do have aptitude for computers.